Step into one of the MOST CHARMING of Winter Park Pines ranch abodes and feel right at home. This meticulously maintained beauty has 4 bedrooms, 2 baths and greets you with a bright sunny foyer and gleaming WOOD FLOORS throughout. Note the crown moulding in all the living spaces and the large formal dining room that leads into the finely updated kitchen with solid wood cabinets, GRANITE counter tops, stainless steel appliances and glazed subway tile backsplash. The casual dining space with French doors opens to the back patio with pavers (perfect for grilling) and the spacious, FULLY FENCED grassy yard. In the living room you'll find a set of French doors that open to the 4th bedroom, which could be a home office or additional den. Down the hall are the two other family bedrooms (all have ceiling fans) and an updated bath with large vanity top and a tub/shower combo. The master bedroom is bright and homey with an ensuite bathroom with walk-in shower. Top rated and sought-after Brookshire Elementary, Glenridge Middle and Winter Park High schools are within a short bike ride; even walk to the popular Cady Way Trail and Cady Way pool. Recent improvements include new fresh exterior paint, new fencing in backyard, and HVAC in 2015. Lot Size: 0.18 Acres / 8024 Sq. Ft. Directions:From 436 and 50. Head North on 436. Left on Banchory. Right on S Ranger Blvd. Left on Cady Way. Destination on Left. SchoolsClick map icons below to view information for schools near 2748 Cady Way Winter Park, FL 32792. Listing provided courtesy of Keller Williams Winter Park. MFRMLS data last updated at April 20, 2019 9:11:07 AM PST. Home for sale at 2748 Cady Way Winter Park, FL 32792. Description: The home at 2748 Cady Way Winter Park, FL 32792 with the MLS Number O5760997 is currently listed at $365,000 and has been on the Winter Park market for 78 days. 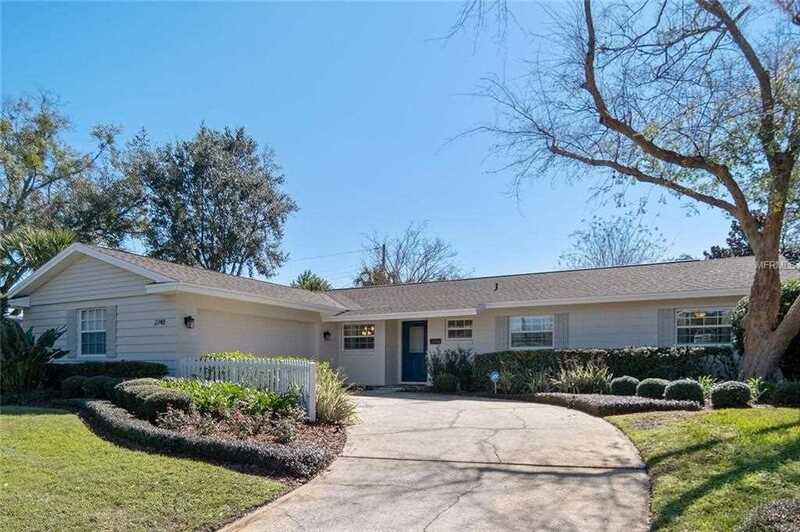 You are viewing the MLS property details of the home for sale at 2748 Cady Way Winter Park, FL 32792, which is located in the Winter Park Pines subdivision, includes 4 bedrooms and 2 bathrooms, and has approximately 1647 sq.ft. of living area.